Click here to register to see the ALMiG online catalog. ALMiG stands for Automatische Luftpumpen – Made in Germany (automatic air pumps - Made in Germany) and is one of the leading compressed air technology system providers and has decades of experience delivering premium products in the compressed air sector. 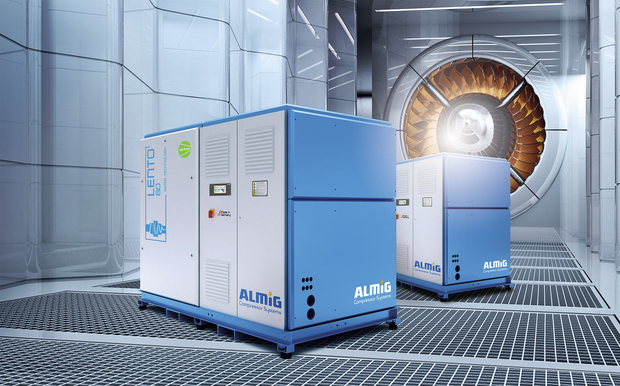 Our customers receive from ALMiG sophisticated compressor technologies from screw compressors, piston compressors, scroll compressors, turbo compressors to special installation and extensive service provision. The latest technologies combine excellence with the quietest possible running performance, optimal energy efficiency and particularly careful conservation of resources.